To close out the first leg of their Canada West season, the UBC Thunderbirds men’s basketball team played host to the Mount Royal (MRU) Cougars and dominated the games, cooling off a Cougars team that had won six of their last eight games. UBC outscored MRU by 47 points over the weekend, including a Saturday afternoon blowout that featured a 36-point second quarter in which the visitors scored just two three-pointers — turning the Cougars’ paint to a holiday feast. This marks the fourth straight weekend sweep for the T-Birds, as they extend their win-streak to eight. There are also a few key takeaways that makes these victories all the more important. All year, much of the attention that this team has received has gone to their new veterans: the high-scoring, NCAA-pedigree tandem of Jadon Cohee and Manroop Clair. However, this weekend was a stark reminder that a strong lineup has excellent players all around. Sophomore guard Mason Bourcier and senior forward Patrick Simon both continued to prove this weekend that they are not to be overlooked. In the pair of recent wins over Thompson Rivers University (TRU) and the Friday’s game against Mount Royal, Bourcier may have posted the three best performances of his young career with UBC. He picked up three straight double-doubles and nearly a triple-double in action against MRU. Beyond just filling up the stat-sheet, Bourcier continues to play a hungry and electric style of basketball, as he appears to be the engine of this starting rotation. Though he wasn’t able to make the same offensive impact in Saturday’s MRU game, he recorded two steals – marking the seventh straight game in which he’s had at least one, totalling 11 on the season. After posting a double-double in the Friday night game against MRU, Simon shot 42 per cent from the floor and 43 per cent from beyond-the-arc to post 18 points — his highest total of the Canada West season so far. Although his performance was overshadowed by a monstrous 29-point performance from Shephard, it’s important to note that due to the lopsided nature of the blowout game, Simon was only needed for 19 minutes of floor-time. Since Clair shifted to a starting role after the first two weeks of the season, UBC’s bench has been relatively pedestrian, averaging just 17 points per game. 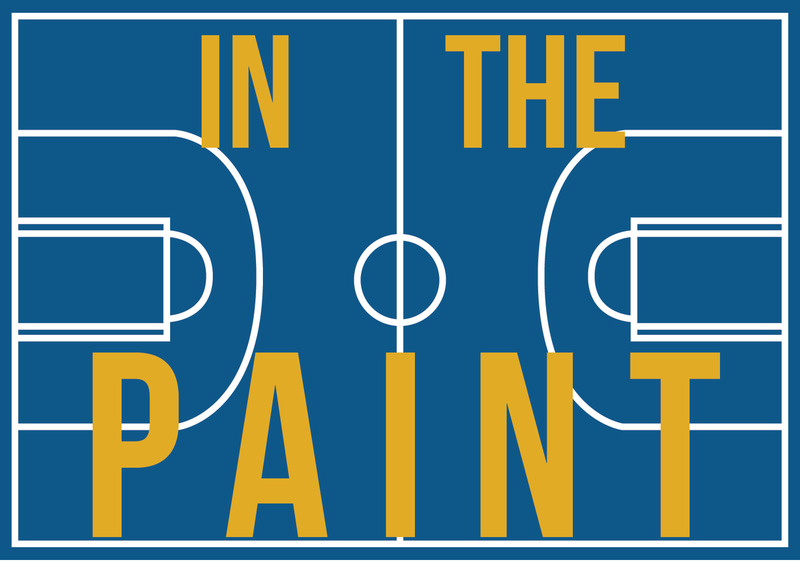 An earlier edition of “In the Paint” noted Clair’s marked absence from the bench’s depth once he moved to a starting guard position. The T-Birds’ bench has been missing the spark that Clair had provided and have been unable to make an impact on a regular basis. Even in their two substantial victories over TRU, the bench was held to their two quietest nights on the season, scoring just 11 and 15 points. The spark the bench unit has been missing may have just come from sophomore guard Anthony McNish, as he put together his best outing of the season on Friday night against the Cougars. McNish has seen limited action since the season opener against the Saskatchewan Huskies, but he was a dominant force through 19 minutes in his appearance against MRU. He shot 71 per cent from the field and was 2-3 from three-point range — putting up a university career-best 13 points. Beyond McNish’s 13, the bench put together just 5 more points, all from the hands of Grant Audu. In the second game of the double-header, however, the bench seemed to follow McNish’s lead, as they collectively put together the unit’s strongest showing of the season: 33 points, 6 assists and 20 rebounds. For the first time since Clair moved up in the rotation, the UBC bench looked dangerous. Although the ’Birds had built a comfortable lead by the end of the first half — allowing the flexibility to give the starters some rest — we’ve seen the bench in this same position before and they haven’t been able to execute in the same way. A pair of rookies, Brian Wallack and Lincoln Rosebush, lead the team down the stretch with their best games of the year so far. Wallack picked up 10 points on the night, while Rosebush scored 6 and pulled down 11 rebounds. For the first time since their win-streak kicked off at the start of November, the Thunderbirds faced, in the Cougars, a team with a winning record. At 6-4 prior to the weekend, Mount Royal is the most formidable opponent that UBC has faced since their tight loss to the Saskatchewan Huskies in October. As was discussed in the last edition of “In the Paint,” wins against teams like this are critical for UBC’s playoff chances and in setting the stage for postseason success. Wins against a decent team like MRU not only solidify the Thunderbirds’ record, it helps boost their rating percentage index (RPI) , which adjusts Canada West teams’ records by the quality of opponents they have faced. Following the weekend, Canada West revealed their first set of RPI rankings and UBC finds themselves second in the league behind only the powerhouse Calgary Dinos. Though they lag behind in the standings, thanks to the RPI system, teams like UNBC and Alberta are knocking on the Thunderbirds’ door. With both of these teams on the schedule in the new year, UBC can expect these squads to come out bloodthirsty and ready to take down a top team. Heavy are the heads that wear the crowns. The team enters December as one of the hottest in the Canada West, and it seems as they’re only continuing to get better. Though it’s nice to see the team round into form, the squad needs to ensure they don’t go cold through their month off. The Thunderbirds don’t return to Canada West action until they face UBC Okanagan on January 4. When they do, they need to be ready — there’s plenty more work left to do.